This is an imaginative story of a young boy and his dragon. As he tells us the story, the narrator guides the reader down the path of possibilities. It all begins with building the perfect sandcastle, because ‘If you build a perfect sandcastle, a dragon will move in.’ This of course has its advantages… the dragon will undoubtably be an asset on the beach. However, the downside is that your family is unlikely to believe you. The more they ignore your dragon, the more mayhem the dragon causes, and the more trouble you will be in until your parents insist that they’ve ‘had enough of this dragon business’. 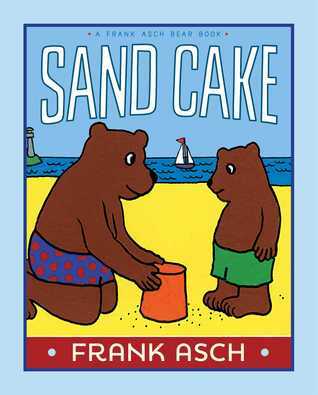 So you ‘vow never to build a perfect sandcastle again’ until tomorrow! This is Jodi Moore’s debut picture book, but not her last. As a matter of fact, her second book When a Dragon Moves In Again is scheduled for release in the fall 2015. Jodi Moore’s lyrical language and magical story will have you wishing you had your own dragon adventure this summer. The illustrations by Howard McWilliam are enchanting. 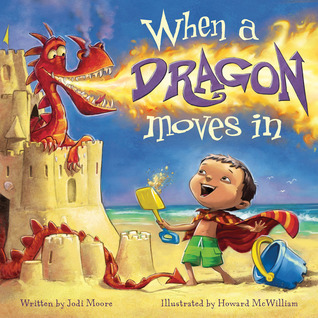 There’s no place you’d rather be than on the beach with a dragon while reading this story, and Howard McWilliam makes sure you are transported there instantaneously. Every little detail is perfectly placed for a fun-filled day at the beach. 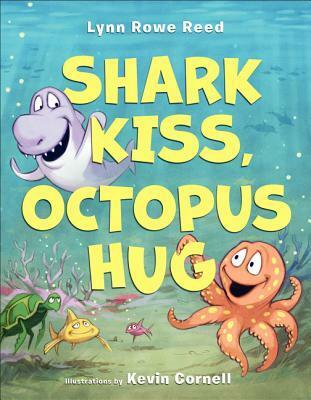 My advice… pick up a copy today and take a mini-vacation with your little readers. 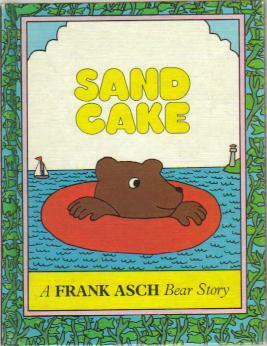 I guarantee you’ll love it and I’m pretty sure you’ll be tempted to build your own sandcastle, even if it’s just in a sandbox, because you know ‘if you build a perfect sandcastle, a dragon will move in’. Note about me: I adore the beach! 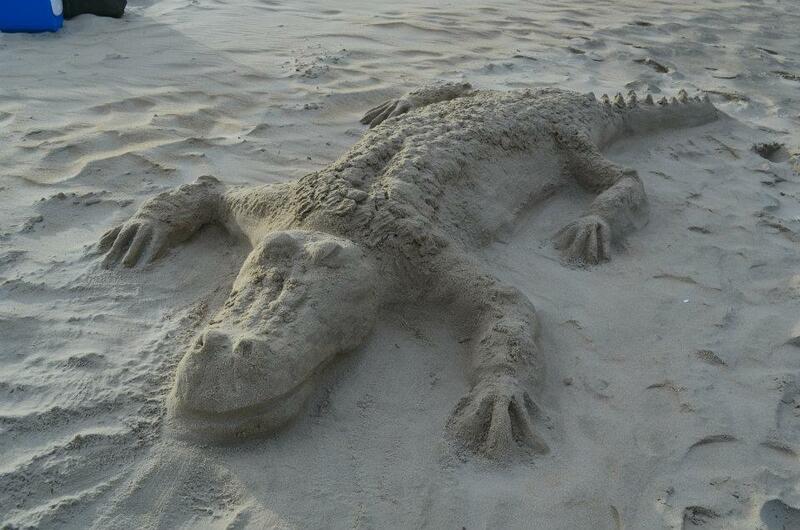 And my husband, who is an artist with sand can spend hours creating sculptures in the sand. While I’m busy trying to read or watch the people go by, he is attracting a crowd with his artwork. Here’s a photo of one of his sculptures, a little more crocodile than dragon, but it’s the closest I could find to one that matches the book selection today.